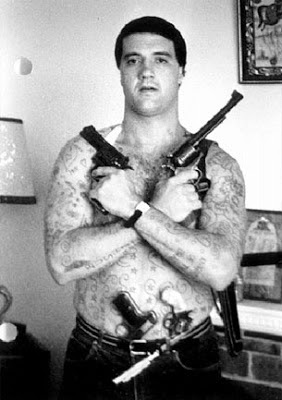 Mark 'Chopper' Read is one of Melbourne's most notorious identities. In a city with many true crime figures, his infamy as a stand over man and success as an author has made him well known to nearly everyone. Not universally liked, but almost universally known. Mark Brandon 'Chopper' Read: criminal, writer, celebrity. On Australia Day 1978, one of Chopper's most well known exploits would set in motion a chain of events that would lead to a police stand off at a popular Melbourne restaurant. Released from prison the year before, Chopper had returned to society with a promise to one of his still imprisoned mates foremost in his mind. He had sworn to long time friend Jimmy Loughnane, who still had six years to serve, that after his release he would find a way to get him out of jail as well. To this end, Chopper had come up with a far fetched scheme to take a local magistrate hostage and trade his life for Loughnane's freedom. On Australia Day, Chopper put a sawn off shotgun under his jacket and went to the old County Court buildings in the city. In 1978, Australia Day was not yet a public holiday so the courts were in session, although it was a quiet day, without many cases scheduled. Read was overwhelmed by a dozen policeman. Due to his bulk they lay him face first on the court room floor and sat on him, tying his arms with their belts as none of the officer's present was carrying handcuffs. He would eventually receive 13 years for his efforts. This exploit of Chopper's is well known. Less well known is what happened next. While Chopper had been incarcerated previously, he had founded a gang of inmates known as 'The Overcoat Gang.' This group quickly became the vicious scourge of its enemies in Pentridge Prison. Chopper himself became friend and mentor to a number of younger offenders that he initiated into the group and took under his wing. One of these was Amos Atkinson. 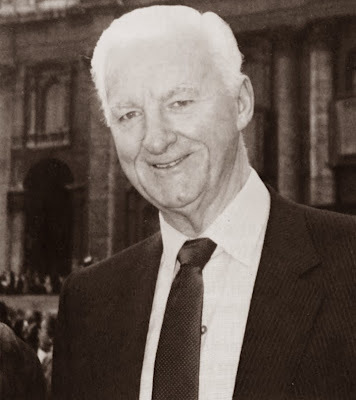 Amos Atkinson was only 18 when he was incarcerated at Pentridge for armed robbery. Quick tempered, violent and unpredictable, he was just the sort Read attracted to him and Atkinson was soon ushered into the Overcoats. Young and impressionable, Atkinson clearly looked up to the older man. Atkinson had been released from jail by the time Read pulled his stunt with the judge, and was quickly determined to get his friend back out of prison again. Incredibly, he would try something just as daft as Read's failed plan had been. 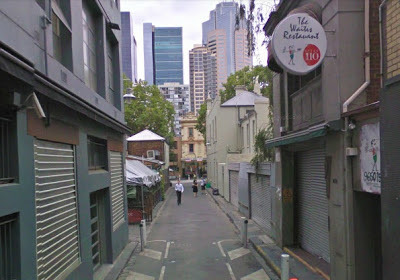 The Italian Waiter's Club (now the Waiter's Restaurant) is a well known restaurant on Meyer's Place in Melbourne's CBD. Founded in 1947 as an actual hangout for off duty waiter's - who would unwind there after work with a glass of vino, in a contravention of this era's stricter liquor laws - by the 1970's it had become an established eating venue, open to all comers. The Waiter's Restaurant, 20 Meyer's Place, today. On the evening of March 31, 1978, Atkinson and his friend Robert Williams stormed the restaurant armed with shotguns. They had just had a run in with police and had fled with the cops in pursuit. Panicked, they had taken refuge in the restaurant while they figured out what to do. Meanwhile, police blocked both ends of Meyer's Place and laid siege to the restaurant. Atkinson soon came up with a plan. He enlisted a doctor from among his hostages to talk to police and issued a demand; Chopper Read had to be released within 24 hours or he would start killing hostages. Unwilling to comply with this, the police stalled. Nervous as time passed and nothing happened, Atkinson then sent another hostage, Wendy McNamara, out with his second demand. Now he asked for his mother. The police were happy to acquiesce to this. Mrs Atkinson was sent for and duly arrived in her dressing gown in the early hours of the morning. Entering the restaurant on her own, the elderly lady hit Atkinson over the head with her handbag before instructing him to let his hostages go and give himself up. This Atkinson did, although he released people only in groups of four or five, spread over several hours. Meyers was in the third group of people released and, after an interview at the old police headquarters on Russell Street, eventually got home at 5am. He was at work on time the next day. 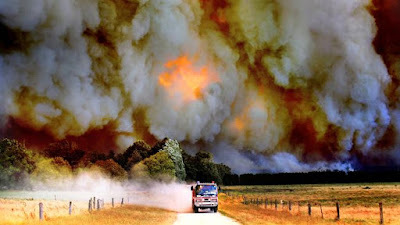 The Age reports the story. Once all the hostages were released, Atkinson gave himself up quietly. He received five years for the crime, joining Chopper back in Pentridge. Shortly after his re-incarceration Atkinson would have his ears cut off, as a final effort to emulate his hero. Thanks Anna. It's a good yarn... And still a pretty good spot for a plate of pasta and glass of red.